as a beauty and style blogger i think it is clear that i love aesthetics. i like to make things look pretty, to feature items in their best light and to find and create beauty from everyday things. 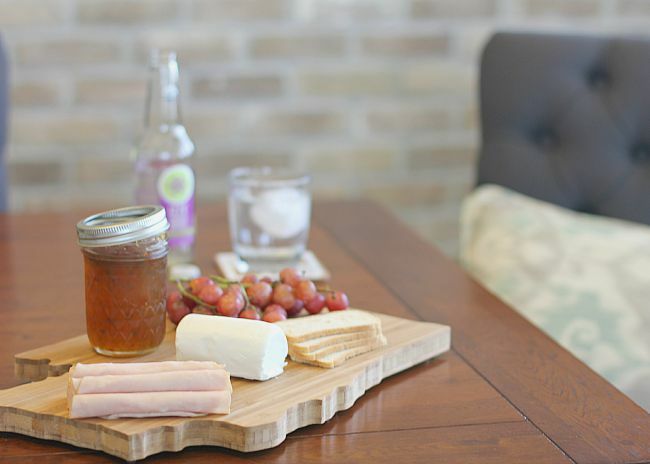 it can be as simple as making lunch for my kids or putting together a special celebration for back to school. either way i am always on board for redecorating and styling to make moments feel special. 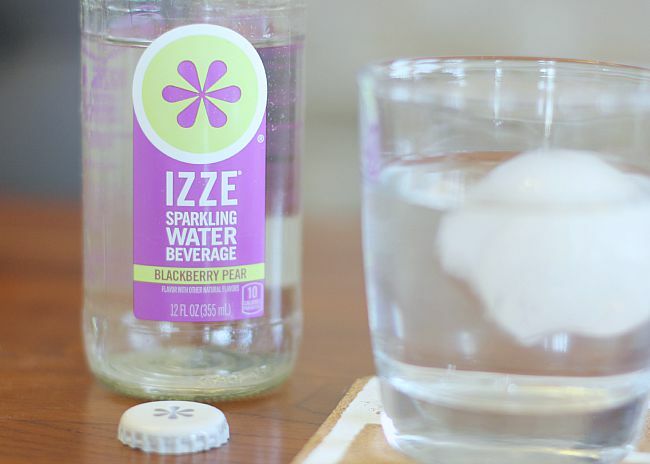 one of my family's favorite drinks - IZZE - has just launched a new line of sparkling water beverages and i was excited to create a special back to school celebration including these delicious new drinks. my kids' final days of summer are quickly winding down and tonight we are headed to the school to meet the teachers before school starts next week. i wanted to create a special family and friends party to get the school year off to a good start. i put together some sweet treats, some savory bites and creatively displayed the items for when we return home from our back to school night. first was our savory tray. i like finding unique items to decorate with and this Washington State cutting board did the trick. i topped it with some of my favorite savory items: soft cheese, spicy jalepeno jelly, crackers, lunch meat and some grapes to balance out the savory. 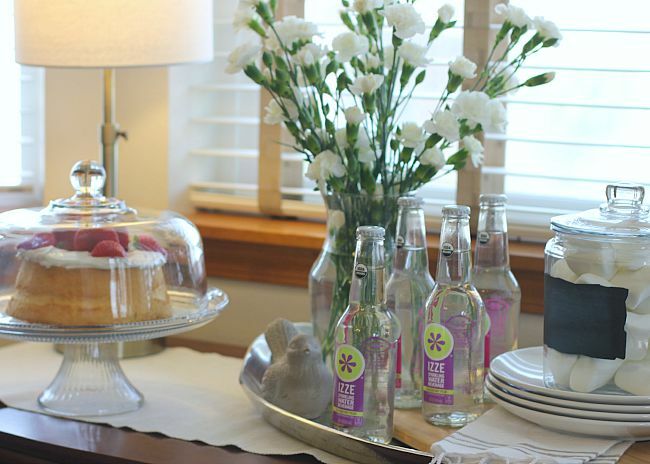 last i made a strawberry shortcake and displayed it on a cute cake stand - all of the glass elements of the bottles, the glasses, the serving tray and the jars help create a cohesive look. additionally i keep a jar of goodies that i recently filled with marshmallows for a quick sweet fix. 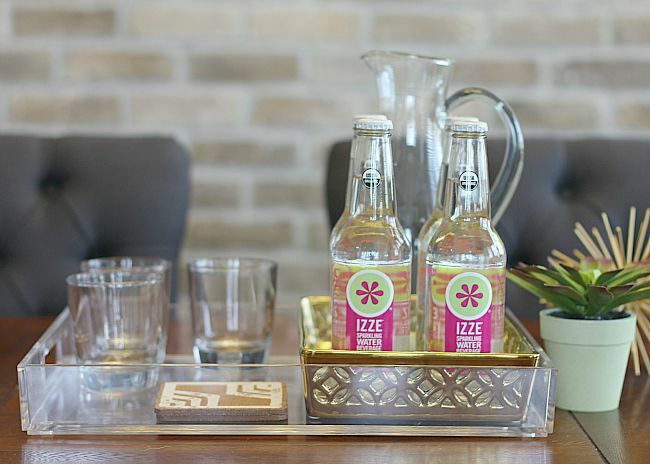 i picked up some fresh flowers because fresh flowers always make everything better and then added some more IZZE Sparkling Water to the serving tray for an added pop of color. i am definitely looking forward to celebrating tonight with my cute kiddos. the beginning of school is always so bittersweet. you are excited to see them growing up and at the same time it is a tough pill to swallow. i hope your school year starts off great. 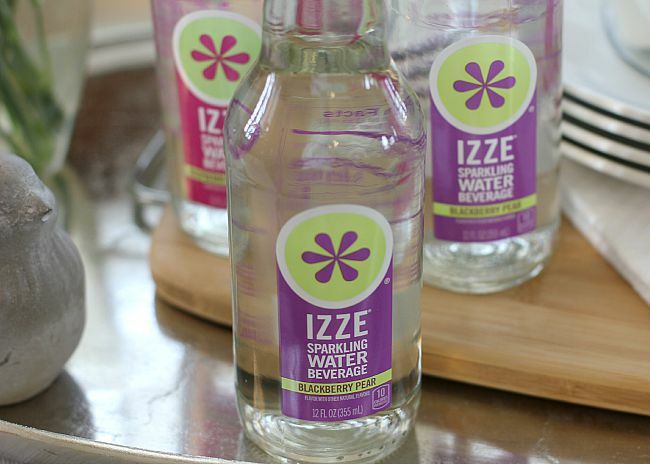 please share any ideas you have for making back to school special.